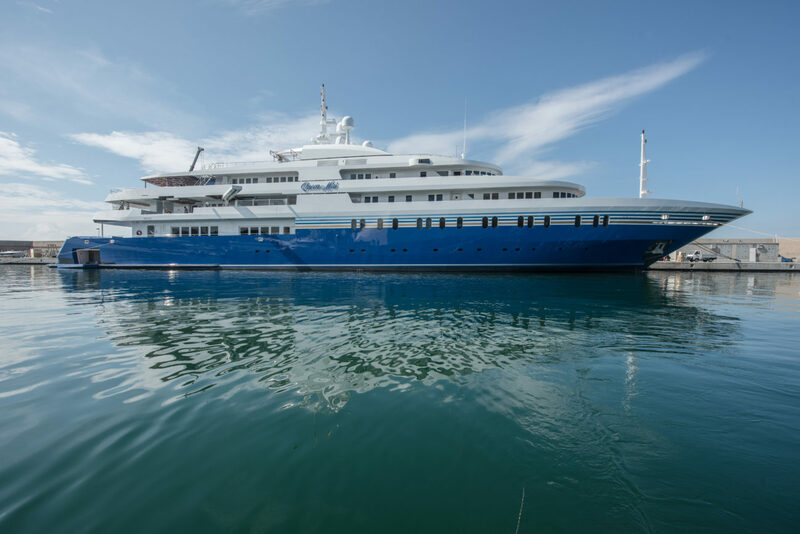 Now extended from 85.3-metres (280 ft) to 91.5m (300 ft), the superyacht previously known as Delma has emerged from the Amico & Co refit shipyard as Queen Miri; the largest project ever undertaken by the Italian craftsmen. 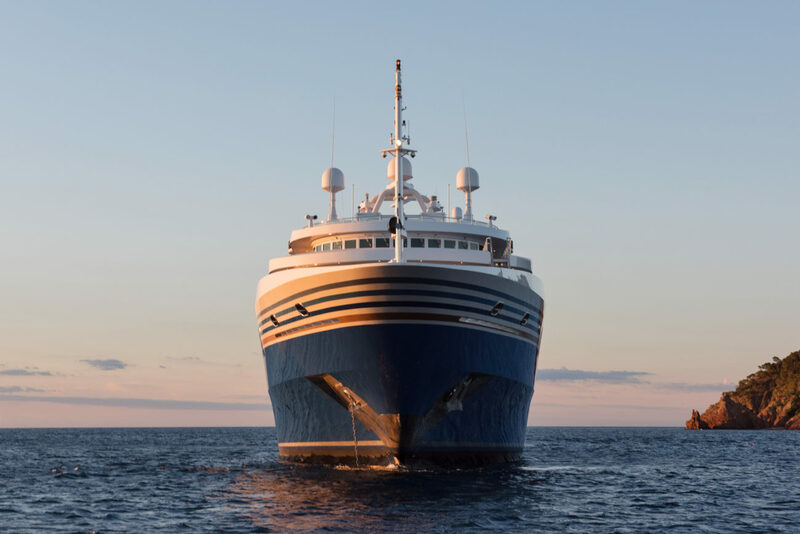 Queen Miri has been delivered to her owner after being cut back by 16-metres before a new aft section was added, increasing her size by over six metres. This increase in size has not only affected her size, style and stature, but her position in the Top 100 as she rises 29 places from 87 to 58. This hugely complex conversion involved replacing main engines, exhaust systems, gearboxes, shaft lines and propellers were also replaced, with rudder stocks and steering systems redesigned to match the new contractual speed requested by the client. Up to 80% of Queen Miri’s interiors were overhauled completely, with new features incorporated into the exterior design to provide even more relaxation areas. The updates across the Greek-built yacht include a huge whirlpool with integrated sunpad for lounging on the sundeck, new spa and relaxation zones, and a new floodable tender garage on the lower deck aft that can be converted into a heated seawater swimming pool. A vessel reborn, Queen Miri is built to passenger vessel standards with Lloyds Register classification under a Marshall Islands flag, able to carry up to 36 guests and 36 crew.